Is Yahoo messenger available in GT-I8000? No, GT-I8000 only supports the MSN Messenger (Windows live). 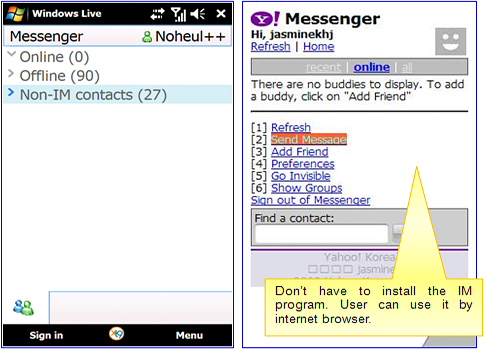 • But User can use the Yahoo messenger by Internet browser. How much memory can I add to my GT-I8000?